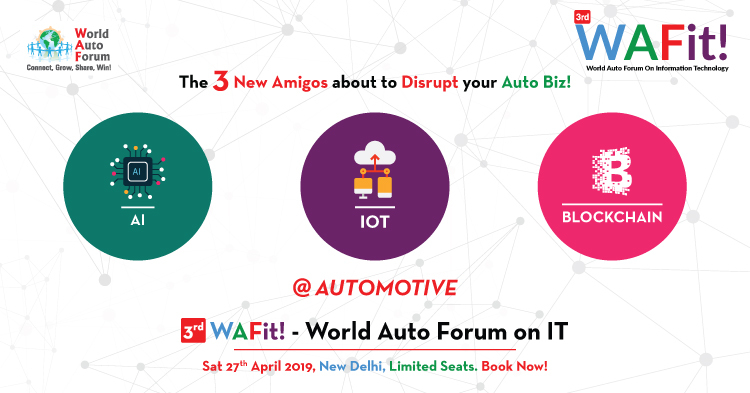 World Auto Forum on Information Technology [WAFit! 2018] held in Delhi on 16th of March 2018 at Radisson Blu Plaza, Delhi Airport came to conclusion amidst great ideas and extensive debates. Presented by World Auto Forum that connects the Auto industry across 125 countries, this day-long event brought together industry veterans, industry experts, new-age entrepreneurs and professionals from across the spectrum, representing emerging technologies that will be impacting Automotive sector in a major way in the years to come. Artificial intelligence, Augmented reality, Virtual reality, Machine learning, Cloud and Cyber security were some of the topics that were warmly discussed and some of them, hotly debated! It was this interesting mix of divergent opinions and different perspectives that made WAFit! 2018, an exciting blend of Technological innovations at play and Auto industry’s readiness to adapt to this changing environment.